STRATEGIC MANEUVER Winner at 2, AJC Meridan & Thomas Hotels 2YO H.. He entered stud in Aust. in 2011. Sire of 137 progeny to race, 65 winners (47.0%), earnings of over $3.0 million, 1 stakes winner, inc.
TEMPT ME NOT (12f, Encosta de Lago, Thunder Gulch). 3 wins-1 at 2-to 1200m, A$271,140, ATC PJ Bell S., Gr.3, TAB Place Multi H., 2d VRC Gucci S., Gr.3, ATC Victory Vein 2YO P., Tradie Magazine H., 3d ATC Light Fingers S., Gr.2, 1st Pierro Yearlings 2016 H.
Checkmate Lad (14c, Prized, Sound Reason). 2 wins at 2050m, 2250m to 2018-19, BRC Trademutt P., Sky Thoroughbred Central P., 2d Ipswich TC Carlton Draught P.
Crazy Pops (13g, Dash for Cash, Century). 2 wins at 1000m, 1200m, BRC Mirvac H., Ipswich TC Free Fair Ground Monday H., 2d BRC LUCRF Super Supports Jockeys H., Clipsal & Schneider Partner 2YO H., 3d BRC McInnes Wilson Lawyers P.
Way Too Good (12f, Encosta de Lago, Snippets). 2 wins at 1200m, 1400m, A$119,105, ATC TAB More Than Winning H., Tab.com.au H., 2d ATC Tab.com.au P., More Than Ready at Vinery H., Hyland Race Colours H.-twice, 3d ATC Pro-Ride H., Tab.com.au 2YO P., Bayer H., 4th Scone RC Denise's Joy S., L.
I'm Too Hot (13g, Testa Rossa, Bureaucracy). 6 wins at 1000m to 2018-19, A$117,500, 2d MRC Polytrack H., 3d MRC Ladbrokes H.
Lotza Focus (12g, Testa Rossa, Keltrice). 5 wins to 1400m to 2017-18, A$79,405, 2d MVRC Premiair H.
Unblemished Mark - Absolute Miracle (Sing.) (12g, Encosta de Lago, Deputy Minister). 4 wins at 1100m, 1400m, A$25,025, S$234,060, Singapore TC Reunion S., Kranji C S., Class 4 H., 2d Singapore TC Hello Dubai S., Recast S., Kindness S., Class 2 H., Class 4 H., 3d ATC Hyland Race Colours H., Singapore TC Benchmark 83 H., PGI Jockeys Challenge UK (4th Leg), Class 4 H.
Precision Strike (12g, Snowland, Anabaa). 4 wins to 1350m, A$76,150, 3d SCTC BOQ Mooloolaba H., Pool Pro & Simply BetterP. As Bad as Tyson (12g, Success Express, Best Western). 7 wins to 1300m to 2018-19, A$118,010. Chapman Way (14g, Freeze, Kenvain). 5 wins at 1200m to 2018-19. Canny Move (13g, Canny Lad, Monde Bleu). 5 wins to 1400m to 2018-19. Gambit (12g, Umatilla, Military Plume). 5 wins from 1200m to 1600m to 2018-19, Rockhampton JC Stockland H., Callaghan Park Functions & Events Centre H., 3d Rockhampton JC BNJ Equine Vets Pty Ltd H., Capricornia Yearling Sale H., Benchmark 55 H.
Golden Comet (14g, Vettori, Provideo). 4 wins to 1100m to 2018-19. So Stoic (13g, Good Journey, Canny Lad). 4 wins at 1000m, 1100m to 2017-18. Twilight Maneuver (13g, Snippets, Rory's Jester). 4 wins to 1200m to 2018-19. Peaky Blinders (12g, Blevic, Clay Hero). 4 wins from 1600m to 1750m. Hebrides Maneuver (14f, Snippets, Sanction). 3 wins-1 at 2-to 1250m to 2017-18. Strategic Spin (13g, Pins, O'Reilly). 3 wins at 1000m, 1200m to 2017-18. Outsmartem (13g, Monde Bleu, Cardinal). 3 wins at 1000m to 2018-19. Panca Delima (13g, Choisir, Canny Lad). 3 wins at 1100m, 1200m to 2019. Moves Like Zizi (15f, Exceed and Excel, Magic Ring). 2 wins at 900m, 1000m in 2018-19. Impulsive Maneuver (15g, Strategic, Lochrae). 2 wins-1 at 2-at 1000m, 1100m to 2018-19. Fair Dinkum (15g, Henny Hughes, Vettori). 2 wins at 1000m, 1100m in 2018-19. Dennis (14g, Pins, O'Reilly). 2 wins at 1100m in 2018-19. Snippy Skippy (14f, Snippets, Last Tycoon). 2 wins at 950m, 1000m to 2018-19. Strategic Spice (14f, Lago Delight, Zoffany). 2 wins at 1100m, 1400m in 2017-18. Iron Machine (13g, Clear Choice, Toy Pindarri). 2 wins at 1200m, 1400m. Simply So (13f, More Than Ready, Danehill). 2 wins at 1000m to 2018-19. Snippy Strategic (13g, Snippets, Last Tycoon). 2 wins at 1000m, 1100m to 2017-18. Stat Man (13g, Monde Bleu, Black Zephyr). 2 wins at 1400m in 2017-18. ROYAL ACADEMY (USA) (Bay 1987-Stud 1991). 4 wins, Breeders' Cup Mile, Gr.1. Sire of 2133 rnrs, 1499 wnrs, 167 SW, inc. Top Hat (Gavea G.P. Brasil, Gr.1), Val Royal, Eyeofthetiger, Oscar Schindler, Al Moughazel - Bullish Luck (H.K. ), Ato, Ali-Royal, Magic Lamp, Bel Esprit, Heroi Do Bafra, Kenwood Melody, Serious Speed, Zalaiyka, Express Way, Naughty Rafaela, Durban Thunder, Carmine Lake, New Regina, Macbeth, Marenostrum, Movie Star, Lavery, etc. Passage of Time (g by Northern Meteor) 4 wins to 1400m, A$251,570, to 2017-18, ATC Turf Club H., McMahons Racecourse Construction H., TAB H., 2d Hawkesbury RC Ladies Day Cup, L, ATC Bradford Black H., Ranvet Power Formula H., Phoenix Fire Protection H., 3d ATC Freshmark H., 4th Scone RC Luskin Star S., L.
Fulfilled Promise (f by Choisir) Winner at 2, ATC TAB Place Multi 2YO P., 3d ATC TAB Rewards 2YO H.
Strategic Maneuver (c by Royal Academy (USA)) Winner. See below. Fildancer (g by Danehill Dancer (Ire)) 4 wins to 1300m, A$83,616 in Aust. Arabian Hawk (g by Northern Meteor) 3 wins at 1200m, 1400m in Aust. and Macau. Red Gauntlet (f by Desert King (Ire)) 2 wins at 800m, 900m in Aust. Golden Meteor. 15 wins to 1450m, A$152,365, to 2017-18 in Aust. Chief Advocate. 8 wins to 1300m, A$100,300, to 2018-19 in Aust. Oriental Girl. 2 wins at 2 in 2018-19 in Aust. Escapetotheorient. Winner at 1000m in 2018-19 in Aust. The Amir (c by Royal Academy (USA)) Placed in Aust. Incredible Story. Winner at 1100m in Aust. Upstacker. 4 wins-1 at 2-to 1400m, A$221,780, Sale TC Turnbull Toyota Inglis Trophy, Hawkesbury RC Reavill Farm Inglis 2YO H., 3d ATC Churchills Sports Bar H.
Rhens (f Royal Academy) 6 wins at 1400m, 1600m in Aust. Bedtime Stories. 2 wins-1 at 2-at 1100m to 2018-19 in Aust. PROUD PLAYER (g Squill) 4 wins to 1400m, A$131,955, BATC Courier-Mail Classic S., L, AJC Allan Potter H., NSW Tatt's RC AJF Rofe H., STC Marrickville H., 2d QTC Sunset Sue Welter H., STC Idle Words H., BTC Doomben Dash, 3d STC Darby Munro S., L, BTC Conrad Hotel Doomben Dash H., Doomben Welter H., QTC Silver Sharpe Welter H., Planet Ruler Welter H., 4th STC Moet & Chandon H., L.
Drumming (g Dash o' Pleasure) 3 wins at 1500m, 1600m, A$86,405, 2d VATC Schweppes Cup, Gr.3, Tasmanian Derby, Gr.3, VRC Laurent Perrier S.H., L, 3d VATC Sandown Guineas, Gr.2, AJC King Brian H., VRC Rising Fast Welter H., STC 2YO H., VATC So Called H., Neerim H., 4th STC Pago Pago S., Gr.2. Paid Up. 7 wins from 900m to 2250m, A$82,470, SAJC Willow Grove Stud H., Ike Treloar H., Sapio H., 2d SAJC We're Smoke-Free H., Kirov Vodka H., Jim Toohey H., 3d SAJC Bonsai City H., Blackfriars H., Robot Printing H., Heartbalm H., Morphett Arms Hotel H.
POOR JUDGE (g Royal Academy) 16 wins-1 at 2-from 900m to 1650m, A$641,245, VRC AAMI Business Insurance S., Gr.3, BRC Bribie H., L, Toowoomba TC Weetwood H., L, BRC SITA Australia Quality H., Rohrig Constructions H., Woolworths H., Ballina Cup, BRC Subiaco Hair H., Harcourts Inner West H., 2d QTC Keith Partridge H., BRC Hotel LA H., Gumnut Furniture H., 3d MRC Toorak H., Gr.1, BRC Nairn Constructions H., I Am Red H.
ROYAL COURTSHIP (g Royal Academy) Third top colt on The 2000-01 Australasian 2YO Classification. 4 wins at 2, A$271,250, STC Todman Slipper Trial S., Gr.2, AJC Kindergarten S., Gr.3, STC Cordina Chickens 2YO H., Wests Illawarra 2YO H., 2d AJC Sires' Produce S., Gr.1. Race Record: 2 Starts 1-0-0 A$67,000. ROYAL ACADEMY Top of The 1990 European 3YO Classification (1400m - 1800m). 4 wins-1 at 2-from 6f to 1m, £193,130, US$450,000, Breeders' Cup Mile S., Gr.1, Newmarket July Cup, Gr.1, Curragh Tetrarch S., Gr.3, Late Developers 2YO S., 2d Haydock Sprint Cup, Gr.1, Irish Two Thousand Guineas, Gr.1. He entered stud in Ireland in 1991. He entered stud in Aust. in 1994. 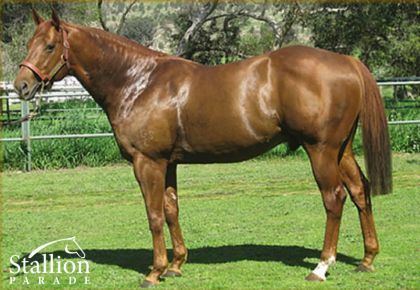 Champion Sire in Brazil in 2004-05 & 2005-06. Champion Broodmare Sire in Slovakia in 2011. Sire of 2133 progeny to race, 1499 winners (70.0%), earnings of over $202 million, 167 stakes winners, 129 stakes placegetters, inc.
TOP HAT (02c, Effervescing, Mauser). Champion Older Horse in Brazil in 2008-09.11 wins from 1500m to 2400m, Gavea G.P. Brasil, Gr.1, Cidade Jardim G.P. ABCPCC Matias Machline, Gr.1-twice, G.P. Linneo de Paula Machado, Gr.3, Classico Cândido Egydio de Souza Aranha, L, Classico Antonio da Silva Prado, L-twice, 2d Gavea G.P. ABCPCC Matias Machline, Gr.1, G.P. Cruzeiro do Sul, Gr.1, Cidade Jardim G.P. Criadores e Proprietários de Cavalos de Corrida de São Paulo, Gr.3, G.P. J. Aiscan, Gr.3, 4th Gavea G.P. Brasil, Gr.1. BEL ESPRIT (99c, Vain, Adios II). 8 wins-5 at 2-to 1350m, A$2,073,600, MRC Blue Diamond S., Gr.1, BTC Doomben Ten Thousand S., Gr.1, VRC Maribyrnong P., Gr.2, MRC Blue Diamond Preview (c&g), Gr.3, Blue Diamond Prelude (c&g), Gr.3, HDF McNeil S., Gr.3, MVRC Mitchell McKenzie S., L, Pierre Fontaine Trophy, L, 2d VRC Newmarket H., Gr.1, MRC Caulfield Guineas, Gr.1, Invitation S., Gr.1, MVRC Manikato S., Gr.1, 3d AJC TJ Smith S., Gr.2. OSCAR SCHINDLER (92c, Northfields, Sea Hawk). Top of The 1996 International 4YO+ Classification (Extended). Champion Older Horse in Ireland in 1996. Champion Older Male Stayer in Ireland in 1997.5 wins-1 at 2-from 7f to 1¾m, £454,739, Irish St Leger, Gr.1-twice, Royal Ascot Hardwicke S., Gr.2, Chester Ormonde S., Gr.3, 2d Curragh Tattersalls Gold Cup, Gr.2, Leopardstown Two Thousand Guineas Trial, L, 3d Prix de l'Arc de Triomphe, Gr.1, Longchamp Prix Royal Oak, Gr.1, Irish St Leger, Gr.1, Curragh Royal Whip S., Gr.3, 4th Prix de l'Arc de Triomphe, Gr.1. HEROI DO BAFRA (02c, Roi Normand, Ghadeer). 11 wins from 1300m to 2400m, US$232,034, Gavea G.P. Cruzeiro do Sul, Gr.1, Grande Premio Francisco Eduardo de Paula Machado, Gr.1, Hollywood Park Allowance, 2d Hollywood Park Inglewood H., Gr.3, Bay Meadows Seabiscuit H., L, 4th Hollywood Park American H., Gr.2, Santa Anita San Marcos S., Gr.2. AL MOUGHAZEL - BULLISH LUCK (H.K.) (99g, Alysheba, Foolish Pleasure). Horse of the Year in Hong Kong in 2005-06. Champion Miler in Hong Kong in 2004-05 & 2005-06.12 wins-2 at 2-from 1200m to 2000m, £18,443, €5,800, HK$46,462,000, 117,780,000¥, 2,760,000Dhs, Tokyo Yasuda Kinen, Gr.1, HKJC Stewards' Cup, L, Champions Mile, L-twice, Chairman's Trophy, L, Centenary Vase, L, Hong Kong Gold Cup, L, Chang Jiang H., High Island H., Pearce Memorial Challenge Cup, Newmarket NGK Spark Plugs 2YO S., 2d Cathay Pacific Hong Kong Cup, Gr.1, HKJC Cathay Pacific International Mile Trial, L, Hong Kong Gold Cup, L, Doncaster Racecourse Sponsorship Club S., HKJC Fashion H., Fairy King Prawn H., Deauville Prix des Chaumieres, 3d Nad al Sheba Dubai World Cup, Gr.1, HKJC Champions Mile, Gr.1, Cathay Pacific International Cup Trial, L, Sha Tin Trophy, L, Hong Kong Gold Cup, L-twice, Sandown Summer S., HKJC Co-Tack H., 4th Tokyo Yasuda Kinen, Gr.1, Cathay Pacific Hong Kong Mile, Gr.1-twice, Ascot Autumn S., L, Kempton Heron S., L, HKJC Stewards' Cup, L.
VAL ROYAL (96c, Bikala, Halo). 7 wins-1 at 2-from 1600m to 2000m, 830,000fr., US$1,050,800, Breeders' Cup Mile, Gr.1, Santa Anita Oak Tree Mile S., Gr.2, Deauville Prix Guillaume d'Ornano, Gr.2, Del Mar Derby, Gr.2, Longchamp Prix de Guiche, Gr.3, Chantilly Prix Matchem, L, Longchamp Prix des Feuillants, 2d Santa Anita Frank E Kilroe Mile H., Gr.2, Chantilly Prix Daphnis, Gr.3, 4th Santa Anita Frank E Kilroe Mile H., Gr.2. ATO (07c, Lyphard's Wish, Lombardi). Champion 4YO in Singapore in 2012.9 wins from 1200m to 1600m, S$1,643,595, Singapore TC Krisflyer International Sprint, Gr.1, Patrons' Bowl, L, Saas Fee S., L, Woodlands H., L, My Royal Captain S., Open H., Graduation S.-twice, 2d Singapore TC EW Barker Trophy, L, Merlion Trophy, L, Kranji Sprint, L, Open H., Canada Cup, Kranji A S., 3d Singapore TC Kranji Mile, L, Garden City Trophy, L, Singapore Guineas, L, 4th Singapore TC Lion City Cup, L, Garden City Trophy, L, Singapore 3YO Classic, L.
ALI-ROYAL (93c, Chief Singer, Alleged). Joint Champion Older Male Miler in GB in 1997.7 wins-1 at 2-from 7f to 9f, £202,529, Goodwood Sussex S., Gr.1, Newmarket Earl of Sefton S., Gr.3, King Charles II S., L, Ben Marshall S., L, York Foss Condition S., 2d Newbury Lockinge S., Gr.1, City of York S., L, 3d Royal Ascot Queen Anne S., Gr.2, Sandown Gordon Richards S., Gr.3. KENWOOD MELODY (95g, Bletchingly, Arctic Explorer). 4 wins from 1200m to 1600m, A$553,980, HK$5,827,449, VATC Caulfield Guineas, Gr.1, AJC Stan Fox S., Gr.2, NSW Tatt's RC Ming Dynasty H., L, HKJC Chinese Club Challenge Cup, L, 2d HKJC Bauhinia Sprint Trophy, L, Hong Kong Classic Trial, L, HKSAR Chief Executive's Cup, STC Munich H., HKJC Ladies Purse H., 3d HKJC Happy Valley Trophy, L, Sprint Trial Trophy H., 4th HKJC Centenary Sprint Cup, L.
SERIOUS SPEED (04f, Kendor, Sir Tristram). 5 wins from 1200m to 1600m, A$956,790, MRC Thousand Guineas, Gr.1, STC Hobartville S., Gr.2, SAJC RA Lee S., Gr.3, Gliderol Garage Doors H., 2d VRC Oaks, Gr.1, VRC Edward Manifold S, Gr.2, 3d SAJC Robert Sangster S., Gr.1, CS Hayes Memorial Cup, L, Morphettville Guineas, L, 4th MRC Tristarc S., Gr.2. ZALAIYKA (95f, Akarad, African Sky). 4 wins-2 at 2-at 1600m, £213,330, Longchamp Poule d'Essai des Pouliches, Gr.1, Deauville Prix des Reservoirs, Gr.3, Longchamp Prix de la Grotte, Gr.3, 2d Royal Ascot Coronation S., Gr.1, 4th Prix du Moulin de Longchamp, Gr.1. EXPRESS WAY (02c, Roi Normand, Sassafras). 5 wins-1 at 2-from 1200m to 1600m, R736,300, 125,120Dhs, Kenilworth Cape Guineas, Gr.1, Selangor Cup, Gr.2, 2d Nad al Sheba Wasel S., 3d Nad al Sheba Shadwell Estate Trophy, 4th Clairwood Gold Challenge, Gr.1. DURBAN THUNDER (01c, Ghadeer, Tumble Wind). 5 wins-1 at 2-from 1000m to 1600m, Cidade Jardim G.P. J Adhemar de Almeida Prado, Gr.1, Kentucky Downs Kentucky Cup Turf Dash S., L.
NAUGHTY RAFAELA (02f, Linamix, Nureyev). 4 wins-1 at 2-from 1500m to 2400m, US$201,316, Cidade Jardim G.P. Jose Guathemozin Nogueira, Gr.1, Santa Anita Santa Barbara H., Gr.2, Allowance, 2d Gavea Prova Especial Mario Jorge de Carvalho, 3d Hollywood Park Beverly Hills H., Gr.2, Santa Anita La Zanzara H., L.
CARMINE LAKE (94f, Diesis, Lypheor). 3 wins-2 at 2-at 1000m, Prix de l'Abbaye de Longchamp, Gr.1, Goodwood Molecomb S., Gr.3, Newmarket Bartlow 2YO S., 3d Doncaster Scarborough S., L, 4th York Lowther S., Gr.2. EYEOFTHETIGER (02c, Ghadeer, Waldmeister). 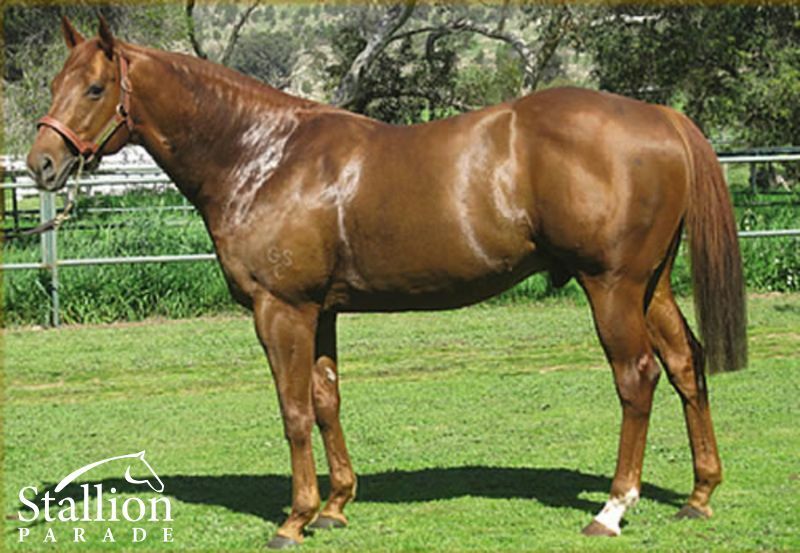 Joint Champion 3YO Colt in South Africa in 2005-06.5 wins-1 at 2-from 1600m to 2200m, R1,487,650, Greyville Durban July H., Gr.1, 3d Kenilworth Cape Derby, Gr.1, 4th Greyville Daily News Two Thousand S., Gr.1, Kenilworth Green Point S., Gr.2. LAVERY (96c, Dominion, Great Nephew). 5 wins-1 at 2-at 1200m, £98,478, R201,325, Leopardstown Phoenix S., Gr.1, Goodwood Tote Shergar Cup Sprint, Clairwood Racecourse Invitation S., 3d Kenilworth Cape Flying Championship, Gr.1, 4th Clairwood Mercury Sprint, Gr.1. MOVIE STAR (01f, Clackson, Locris). 4 wins from 1300m to 1700m, Gavea G.P. Henrique Possollo, Gr.1, Meadowlands Navajo Princess S., L, Santa Anita Allowance, 2d Gavea G.P. Roger Guedon, Gr.3, Santa Anita Tuzla H., L, 4th Santa Anita Las Palmas H., Gr.2, San Gorgonio H., Gr.2, Churchill Downs Cardinal H., Gr.3. MARENOSTRUM (01c, Dark Brown, World Cup). 4 wins-1 at 2-from 1600m to 1800m, Cidade Jardim G.P. Juliano Martins, Gr.1, Santa Anita Allowance, 2d UAE Derby, Gr.2. NEW REGINA (02f, Clackson, Ghadeer). 3 wins-1 at 2-at 1500m, 1600m, Cidade Jardim G.P. Joao Cecilio Ferraz, Gr.1, 4th Hollywood Park Hawthorne H., Gr.3, Santa Anita American Beauty H., L.
MAGIC LAMP (01f, Carson City, Wallet Lifter). Champion older mare in Brazil in 2005-06.3 wins from 1400m to 2000m, Gavea G.P. Roberto e Nelson Grimaldi Seabra, Gr.1, 2d Gavea G.P. Adayr Eiras de Araujo, Gr.2, G.P. Henrique de Toledo Lara, Gr.3, 3d Gavea G.P. Roger Guedon, Gr.3, G.P. Euvaldo Lodi, Gr.3. MACBETH (01c, Slap Jack, Zenabre). 3 wins-1 at 2-from 1300m to 2400m, Cidade Jardim G.P. Sao Paulo, Gr.1, 2d Gavea G.P. Conde de Herzberg, Gr.2, 3d Gavea G.P. Cruzeiro do Sul, Gr.1. SLEEPYTIME (94f, Chief Singer, Alleged). 2 wins-1 at 2-at 7f, 1m, £146,846, The One Thousand Guineas, Gr.1, Sandown Grass Widows 2YO S., 3d Ascot Fillies Mile, Gr.1, Royal Ascot Coronation S., Gr.1, 4th Newbury Fred Darling S., Gr.3. GOTTA HAVE HER (04f, Rahy, Sharpman). 10 wins from 6½f to 8½f, US$1,132,608, Del Mar Palomar H., Gr.2-twice, Hollywood Park Royal Heroine Mile, Gr.2, Santa Anita Las Cienegas H., Gr.3, Oak Tree Senator Ken Maddy H., Gr.3, Harold C Ramser Sr H., L, Hollywood Park Allowance, Santa Anita Allowance, 2d Del Mar John C Mabee S., Gr.1, Palomar H., Gr.2, Hollywood Park Dahlia H., Gr.2, Santa Anita Tuzla H., Gr.3, Breeders' Cup Turf Sprint S., L, Hollywood Park Redondo Beach S., L, 3d Keeneland First Lady S., Gr.1, Del Mar John C Mabee S., Gr.2, Hollywood Park Royal Heroine Mile, Gr.2, Santa Anita Providencia S., Gr.3, Las Cienegas H., Gr.3, China Doll S., L.
CONSERVATORIUM (07g, Belong to Me, Zoffany). 9 wins to 1400m, A$796,980, WATC Lee Steere S., Gr.2, AJ Scahill S., Gr.3, SAJC Manihi Classic, L, Durbridge S., L, Ipswich TC Eye Liner S., L, SAJC Sportingbet H., Allan Scott Park Morphettville H.-twice, 2d SAJC Goodwood H., Gr.1, BRC QTC Cup, Gr.2, Qld Tatt's RC Mercedes-Benz Mile H., L, SAJC Christmas H., L, Toll Express H., 3d WATC AJ Scahill S., Gr.3, SAJC Roadside Service & Solutions H., Schweppes H., Campolina Stud H., 4th SAJC Yallambee Classic, Gr.2, WH Wylie H., L, City of Marion S., L.
REGAL KISS (98f, Don't Say Halo, Manihi). 6 wins-4 at 2-to 1200m, A$361,205, STC Reisling Slipper Trial S., Gr.2, SAJC RN Irwin S., Gr.3, Dequetteville S., L, Balcrest S., L, Limerick Lane Thoroughbreds Flying H., Flair 2YO H., 2d SAJC Swettenham Stud S., Gr.2, RN Irwin S., Gr.3, Adelaide Guineas, Gr.3, VRC Maribyrnong Trial S., L, SAJC Liz Davenport Classic, L.
TEARS ROYAL (96c, Vite Cheval, Comeram). 9 wins from 1200m to 1650m, A$349,200, VRC Blamey S., Gr.2, PFD Food Services S., L, MRC Barton S., L, VRC McPherson's Printing Group H., VATC Eat Well Live Well H., 3d VRC Chester Manifold S., L, MVRC Qantas Airways H., Pakenham Cup, VRC Summer Sunday H., 4th VATC Christmas H., L.
HONOUR THE NAME (96c, Twig Moss, Century). 4 wins-1 at 2-to 1200m, A$331,280, SAJC Angas Brut S., Gr.2, VATC HDF McNeil S., Gr.3, Sir John Monash S., L, Mona Nursery S., 2d MVRC Manikato S., Gr.1, 3d VATC Blue Diamond Preview (c&g), Gr.3, Safeway H., Geoff Murphy H., 100% Smokefree Indoor P., 4th MVRC Schweppes S., Gr.2, VATC Bletchingly S., Gr.3, WATC Belmont Newmarket H., L.
OPRAH WINNEY (03f, Woodman, Lyphard's Wish). 7 wins-2 at 2-at 6f, 7f, US$593,989, Laurel Barbara Fritchie H., Gr.2, Monmouth Regret S., L, Belmont Bouwerie S., L, Schenectady H., L, Aqueduct Interborough H., L, Randaroo S., L, 2d Belmont Vagrancy H., Gr.2, Finger Lakes Lady Fingers S., L, 3d Aqueduct Distaff H., Gr.2, Cicada S., Gr.3, Garland of Roses H., L, Interborough H., L, 4th Aqueduct Ruthless S., L.
ONWARD ROYAL (01c, Gone West, Damascus). 6 wins from 1400m to 1600m, Gavea G.P. Presidente Emilio Garrastazu Medici, Gr.2, Classico Nelson Pereira, L, 2d Gavea Prova Especial Itajara, 3d Gavea Classico Nelson Pereira, L.
MOLENGÃO (01c, Locris, Crepello). 5 wins from 1300m to 1800m, US$616,510, Santa Anita San Antonio H., Gr.2, Hollywood Park Mervyn Leroy H., Gr.2, Santa Anita Allowance, Hollywood Park Allowance, 2d Santa Anita H., Gr.1, Hollywood Park Sunset H., Gr.2, 3d Hollywood Park Native Diver H., Gr.3, 4th Hollywood Park Hollywood Gold Cup, Gr.1, Golden Gate All American H., Gr.3. ARTEJUSTA (01f, Nugget Point, Telescopico). 5 wins from 1300m to 2400m, Gavea G.P. Oswaldo Aranha, Gr.2, Grande Prêmio Henrique de Toledo Lara, Gr.3. LA BELLA DAME (99f, Snippets, Raveneaux). 5 wins-2 at 2-from 1000m to 1600m, A$396,150, MRC Angus Armanasco S., Gr.2, Tranquil Star S., Gr.3, Cardinia 2YO H., Heirloom H., 2d MRC Thousand Guineas, Gr.1, MVRC Gary Gay H., 4th MRC Futurity S., Gr.1, VRC Vanity S., Gr.3, MRC Boronia S., L.
PHOENIX PARK (97g, Bletchingly, Vice Regal). 5 wins-2 at 2-at 1100m, 1200m, A$699,570, AJC TJ Smith S., Gr.2, STC Concorde S., Gr.3, Courtyard by Marriott H., Softex 2YO H., Harvey Norman 2YO H., 2d STC Theo Marks H., Gr.2, AJC Liverpool City Cup, Gr.3, Newcastle JC Spring S., Gr.3, 3d STC Todman Slipper Trial S., Gr.2, BTC Wyndham Estate Cup, Gr.2, Newcastle JC Newmarket H., Gr.3, BTC Eric Kirwan 2YO H., 4th STC Golden Slipper S., Gr.1, AJC Spring Champion S., Gr.1, BTC Doomben Ten Thousand S., Gr.1, AJC Up & Coming S., Gr.2, Kindergarten S., Gr.3, STC Concorde S., Gr.3, NSW Tatt's RC Roman Consul S., Gr.3, AJC Hall Mark S., L.
ROYAL COURTSHIP (98g, Pre Emptive Strike, Vain). 4 wins at 2, A$271,250, STC Todman Slipper Trial S., Gr.2, AJC Kindergarten S., Gr.3, STC Cordina Chickens 2YO H., Wests Illawarra 2YO H., 2d AJC Sires' Produce S., Gr.1. BOLSHOI (92g, The Brianstan, Vigo). 9 wins at 5f, £223,976, Royal Ascot King's Stand S., Gr.2, Sandown Temple S., Gr.2, Ascot Jackman's Garden Centre H., Ascot H., 2d Haydock Sprint Cup, Gr.1, 3d Sandown Temple S., Gr.2, Leopardstown Ballyogan S., Gr.3, 4th Goodwood King George S., Gr.3, Newmarket Palace House S., Gr.3, Chester Queensferry S., L.
PARADISE QUEEN (02f, Present the Colors, Vacilante). 2 wins-1 at 2-at 1500m, 1600m, Gavea G.P. Francisco Villela de Paula Machado, Gr.2, G.P. Roger Guedon, Gr.3, 2d Gavea G.P. Adayr Eiras de Araujo, Gr.2, 3d Gavea Prova Especial Mario Jorge de Carvalho. CENTAINE (92f, Shirley Heights, Reform). 3 wins-1 at 2-at 1600m, 2200m, 307,000Dm., Mülheim Preis der Diana, Gr.2, Cologne Fruhjahrs Stutenpreis, L, 3d Düsseldorf ARAG Preis, Gr.2. MANANAN MCLIR (99c, St Jovite, Majestic Prince). 9 wins-1 at 2-from 1m to 9½f, £7,535, US$495,298, Arlington Park American Derby, Gr.2, Churchill Downs Allowance, 2d Hollywood Derby, Gr.1, Bay Meadows Round Table H., L, Haydock Weaver 2YO S., 3d Santa Anita Oak Tree Derby, Gr.2, 4th Hollywood Park Cinema H., Gr.3. SARSON TRAIL - ROYAL TREASURE (MAC.) (97c, Three Legs, Bold Aussie). 8 wins-2 at 2-from 1000m to 1800m, A$177,980, M$4,704,200, MVRC Bill Stutt S., Gr.2, Macau Chelyabinsk H., Macau Derby, VATC John C Reilly 2YO H., SAJC Tony's Tuna International 2YO H., Macau Dalmary H., 2d SAJC Breeders' S., Gr.2, Macau Summer Trophy, Summer P., Autumn Trophy, Chieftain H., Asuncion H., Faisalabad H., Ballina H., AJC Goodwill Trophy H., 3d Macau Summer Trophy, Autumn Trophy, Farol da Guia H., Anyang H., Forli H., Smiley King H., Fukushima H., Macau Classic Trial. PATPONG (99f, Paris Prince, Comeram). 6 wins to 1200m, A$255,850, MRC Schillaci S., Gr.2, AJC Emirates P.H., Balmain H., 2d QTC Cup, Gr.2. PRINCE OF WAR (98c, Palace Music, Ahonoora). 6 wins from 1600m to 2000m, A$215,675, S$162,931, 472,880Dhs, STC Tulloch S., Gr.2, VRC Flemington Racecourse Rose H., Nad al Sheba Green Desert S., Singapore TC Class 1 H.-twice, AJC National Servicemen's 50th Jubilee H., 2d Nad al Sheba Dubai City of Gold S., Gr.3, VRC Four 'n Twenty S., L, Nad al Sheba Al Seef S., AJC Lawn 2YO H., Argos 2YO H., STC Sportless Services Ltd 2YO H., 3d STC Fruit & Vegetables 2YO H., Nad al Sheba Sahm Stud S., STC Wests Illawarra 2YO H., Parramatta Leagues Club 2YO H., 4th Queensland Guineas, Gr.2, AJC Fernhill H., Gr.3, NSW Tatt's RC Ming Dynasty H., Gr.3, Singapore Derby, L.
QUAYS (98f, Marauding, Riverman). 5 wins-1 at 2-from 1200m to 2000m, A$425,850, VRC Wakeful S., Gr.2, VATC Lady Mogambo H., QTC Heaven Night Club 2YO H., 3d AJC Australian Oaks, Gr.1, STC Arrowfield Stud S., Gr.1, Queensland Oaks, Gr.1, AJC Surround S., Gr.2, BTC Doomben Roses S., L, AJC Moet & Chandon H., 4th QTC TJ Smith Classic, Gr.1, AJC Emancipation S., Gr.2, STC Phar Lap S., Gr.2. QUERO QUERO (00f, Great Above, New Prospect). 4 wins from 6½f to 9f, US$409,216, Hollywood Park Honeymoon H., Gr.2, 2d Hollywood Park Milady H., Gr.1, Santa Anita Las Cienegas H., Gr.3, Hollywood Park Wilshire H., Gr.3, 3d Hollywood Park Gamely H., Gr.1, Golden Gate California Oaks, L, 4th Santa Anita Las Flores H., Gr.3, Hollywood Park Audrey Skirball-Kenis S., L.
COURT FOLLY (03g, Saratoga Six, Talc). 3 wins-1 at 2-at 6½f, 7f, US$257,480, Saratoga Amsterdam S., Gr.2, Gulfstream Park Allowance, 2d Churchill Downs Matt Winn S., L, 3d Saratoga King's Bishop S., Gr.1, Gulfstream Park Swale S., Gr.2, Keeneland Perryville S., Gr.3. ORMA GIUSTA (01f, Lode, Banner Sport). 3 wins-1 at 2-from 1100m to 2000m, Gavea G.P. Carlos Telles e Carlos Gilberto da Rocha Faria, Gr.2, 4th Kentucky Downs Pleasant Temper S., L.
DEFERENTIAL (04g, Quest for Fame, Luskin Star). 2 wins-1 at 2-at 1200m, A$288,325, HK$1,574,500, STC Pago Pago S., Gr.2, HKJC Privilege H., 2d VRC Maribyrnong P., Gr.3, HKJC Cheung Shan H., Manawatu Racing Club Challenge Trophy, 3d HKJC Choi Hung H., 4th MRC Blue Diamond Prelude (c&g), Gr.3, Debutant S., L.
EL MAIMOUN (95c, Robellino, Habitat). Champion 2YO Colt in Germany in 1997.2 wins at 2, Baden-Baden Raab Karcher Baustoffe Cup, Gr.2. DREAM IMPACT (01c, Storm Cat, In Reality). Champion Older Male Sprinter in Italy in 2007. Joint Champion Older Sprinter in Italy in 2006.18 wins-2 at 2-at 1000m, 1200m, €443,189, Rome Premio Carlo e Francesco Aloisi, Gr.3, Gran Premio Citta di Napoli, Gr.3, Milan Premio Certosa, L, Naples Gran Premio Citta di Napoli, L, Rome Premio Capannelle, Premio Olimpio, Premio Anguillara, Milan Premio Bersaglio, Rome Premio Matahawk-3 times, Premio Nizon, Premio Aringo, Premio Gyr, Premio Cola d'Amatrice, Premio Guido Reni, 2d Rome Premio Tudini, Gr.3, Premio Stratford, Premio Anguillara, Premio Youth, Premio Chiumvi, Premio Maffei, 3d Milan Premio Cancelli, L, Rome Premio Baybird, 4th Rome Premio Tudini, Gr.3, Milan Premio Cancelli, L, Premio Certosa, L, Naples Gran Premio Citta di Napoli, L.
DANZON (03f, Kingmambo, Kahyasi). 12 wins-2 at 2-from 1600m to 1850m, €93,800, US$488,165, Longchamp Prix Vanteaux, Gr.3, Churchill Downs Locust Grove H., Gr.3, Turfway Park Kentucky Cup Distaff S., Gr.3, Marseille Borely Prix Delahante, L, Kentucky Downs Kentucky Cup Ladies Turf S., L, Keeneland Allowance, 2d Cologne Kolner Herbst Stuten Meile, Gr.3, Saint-Cloud Prix La Camargo, L, Canterbury Park Lady Canterbury S., L, Turfway Park Wintergreen S., L, Fairway Fun S., L, 3d Churchill Downs Turf Classic S., Gr.1, Mint Julep H., Gr.3, Turfway Park My Charmer S., L, Likely Exchange S., L, 4th Saratoga Ballston Spa H., Gr.2. ROYAL EXPERIMENT (99c, Grey Dawn, B. Major). Champion 3YO Colt in Scandinavia in 2002.7 wins at 1600m, 1800m, Ovrevoll Marit Sveaas Minnelop, Gr.3, Klampenborg Pokallob, L, Danish Jockey Club Cup, L-twice, Taby Jockeyklubbens Jubileumslöpning, Ovrevoll Norsk 2000 Guineas, 2d Taby Stockholms Stora Pris, L, Jagersro Svenskt Derby, Ovrevoll Pilot Fineliner Cup, 3d Klampenborg Scandinavian Open Championship, Gr.3, Hoppegarten Preis der Deutschen Einheit, Gr.3, Taby Stockholms Stora Pris, L, Songline Classic, L, Ovrevoll Valley Chapel Memorial, 4th Taby Stockholm Cup International, Gr.3, Frankfurt Trophy, Gr.3, Jagersro Per-Erik Pramms Memorial, L, Taby Stockholms Stora Pris, L.
ROYAL DISCRETION (04g, Canny Lad, Secreto). 6 wins-1 at 2-at 1200m, 1400m, A$558,325, AJC South Pacific Classic, Gr.3, MRC Moonga S., Gr.3, STC Darby Munro H., L, Hawkesbury Guineas, L, STC Movers & Shakers Rosebud Quality H., Hawkesbury RC Chalker Accountants Sweepstakes 2YO H., 2d Queensland Guineas, Gr.2, ATC Starlight S., L, QTC Brisbane P., L, 3d AJC All Aged S., Gr.1, STC Canterbury S., Gr.2, AJC Strephon 2YO H., 4th STC Hobartville S., Gr.2, BTC Sprint H., Gr.3, VRC Paris Lane S., L, STC Royal Parma S., L.
BAGHDARIA (03f, Unbridled, Lear Fan). 6 wins-2 at 2-from 6f to 8½f, US$725,433, Prairie Meadows Iowa Oaks, Gr.3, Hoosier Park Indiana Oaks, Gr.3, Louisiana Downs Silverbulletday S., Gr.3, Delta Downs Sweetheart S., L, 3d Churchill Downs Louisville Breeders' Cup S., Gr.2, Pimlico Black-Eyed Susan S., Gr.2, 4th Oaklawn Park Apple Blossom H., Gr.1, Honeybee S., L.
ART MASTER (01c, Capote, Mr. Prospector). 5 wins at 1400m, 1600m, €121,500, US$140,037, Chantilly Prix de la Jonchere, Gr.3, Belmont Poker H., Gr.3, Longchamp Prix du Palais-Royal, Gr.3, Saint-Cloud Prix de Pontarme, L, Prix Aravios, 2d Saint-Cloud Prix Edmond Blanc, Gr.3, 3d Belmont Kelso H., Gr.2. KEY ROYAL (94c, Sharpo, Young Generation). 10 wins to 1400m, 24,000fr., 42,500,000L., 156,000Dm., Rome Premio Umbria, Gr.3, Hannover Toto Lotto Sprint Preis, L, Cologne Kolner Sprint Preis, L, Dortmunder Fliegerpreis, L, 4th Longchamp Prix du Petit Couvert, Gr.3, Cologne Buchmacher Springer Sprint Preis, L.
POOR JUDGE (05g, Thunder Gulch, Vain). 16 wins-1 at 2-from 900m to 1650m, A$641,245, VRC AAMI Business Insurance S., Gr.3, BRC Bribie H., L, Toowoomba TC Weetwood H., L, BRC SITA Australia Quality H., Rohrig Constructions H., Woolworths H., Ballina Cup, BRC Subiaco Hair H., Harcourts Inner West H., 2d QTC Keith Partridge H., BRC Hotel LA H., Gumnut Furniture H., 3d MRC Toorak H., Gr.1, BRC Nairn Constructions H., I Am Red H.
ACADEMIC ANGEL (99f, Damascus, Round Table). 10 wins-1 at 2-from 6f to 8½f, US$463,357, Lone Star Park WinStar Distaff H., Gr.3, Sunland Park Harry W Henson H., L, Louisiana Downs River Cities S., L, Sam Houston Park Jiffy Lube S., L, Sam Houston Distaff H., L, 2d Retama Park Margarita H., L, 3d Lone Star Oaks, L, 4th Lone Star Park Winstar Distaff H., Gr.3, Louisiana Downs Chapel Belle S., L.
RECAPITALIZE (00c, Dahar, Amalgam). 8 wins-1 at 2-to 1400m, A$540,800, VRC Gilgai S., Gr.3, Chubb S., L, AR Creswick S., L, Winter Championship Heat 7 H., Razor Sharp Welter H., STC Cadbury H., 2d MRC Victoria H., Gr.3, VRC Springtime S., L, MRC Luxury Preferred Royal Ascot Tour H., 3d VRC Gilgai S., Gr.3, BTC Sprint H., Gr.3, MRC Barton S., L, VRC Scobie Breasley H., MRC Le Pine Funeral Services Cup H., 4th MRC TS Carlyon Cup, Gr.3. ROYAL MILLENNIUM (98g, Be My Guest, Alleged). 6 wins at 6f, 7f, £193,814, €112,502, HK$570,000, 35,000Dhs, Curragh Ballygallon Stud S., Gr.3, Newmarket Bentinck S., Gr.3, Newcastle Chipchase S., Gr.3, Goodwood Racegoers Club S., Newbury Q Associates H., 2d Longchamp Prix de la Foret, Gr.1, Newmarket Bentinck S., Gr.3, Goodwood Starlit S., L, Doncaster Wentworth S., L, Goodwood Daily Telegraph Discover Racing H., Sandown Summer Carnival H., York Peterhouse Group H., Ascot Rendezvous Casino H., Goodwood Honeywell Newamerica S., 3d Longchamp Prix de l'Abbaye de Longchamp, Gr.1, Goodwood Supreme S., Gr.3, Nad al Sheba Al Fahidi Fort S., L, Ascot Tote International H., Tote Trifecta H., Newmarket Curtis Medical H., Newbury Friday Business Club S., 4th York Golden Jubilee S., Gr.1, Haydock Sprint Cup, Gr.1, Cathay Pacific Hong Kong Sprint, Gr.1, Maisons-Laffitte Prix de Seine-et-Oise, Gr.3, Doncaster Cammidge Trophy, L.
POLYTECHNICIEN (06c, Seeking the Gold, Secretariat). 11 wins-1 at 2-from 1400m to 2000m, £10,760, €165,100, US$130,285, Saint-Cloud Prix Exbury, Gr.3, Deauville Prix Luthier, L, Prix de Meydan, Saint-Cloud Prix Canot, Maisons-Laffitte Prix Joyeux Drille, 2d Newmarket Earl of Sefton S., Gr.3, Deauville Prix Lyphard, L, Chantilly Prix de Morancy, Saint-Cloud Prix Brantome, 3d Maisons-Laffitte Prix Messidor, Gr.3, 4th Golden Gate Rolling Green S., L.
His sire sons include Bel Esprit (26), Val Royal (20), Ali-Royal (9), Durban Thunder (8), Tamburlaine (7), Ihtiram (5), Molengão, Top Hat, Art Master, Onward Royal, Royal Strand, Ato, Strategic Maneuver, Royal Experiment, Yellow Fever, Key Royal, etc. Strategic Maneuver is the sire of the brilliant Gr. 3 ATC PJ Bell S Winner Tempt Me not and nine other winners from just 32 runners. By proven sire of sires Royal Academy with first three dams by Marscay, Vain and Todman, three of the greats of Australian breeding. Strategic Maneuver was a brilliant Randwick 2YO winner at his first and only possible start as a juvenile. Started twice. $87.5K. Weanlings sold for $30K (twice).